We make it easy to find information on NYC DEP water audits & water meters. It may seem like a full-time job to take advantage of the most beneficial New York City water and sewer rate programs. That’s why we’ve assembled these links and resources to help make it easier. The following links include groups that AquaAudit affiliates with and other organizations that offer relevant information. We are proud members of the Queens Chamber of Commerce as well as their Energy Committee. With over a century of leadership, the Queens Chamber of Commerce fosters economic growth and prosperity in the Queens business community. We are proud members of the Bronx Chamber of Commerce, the “Voice of Bronx Business,” promoting business and opportunity within the borough of the Bronx. We are also members of the BRONX-MANHATTAN North Association Of Realtors®, a professional trade association officially representing the real estate industry since 1924. It is the local chapter for the New York State and National Association of Realtors®. The LIC Partnership is the marketing arm of the Long Island City Business Improvement District and the Long Island City Business Development Corporation. LIC’s mission is to advocate for economic development that benefits Long Island City’s industrial, commercial, cultural, and residential sectors. The Building & Realty Institute is one the largest construction, development and real estate-related industry trade associations in New York State to support your business. The DEP website is a clearinghouse of information, updates, policies, procedures, rules and regulations on a range of topics, including water-use management. Information is organized on different pages for Residents and Businesses. NYSERDA’s residential programs are intended to help multi-family building owners provide energy-efficient apartments for their tenants, and for homeowners and renters to reduce their energy costs. WaterWiser® provides news, information, research results, discussion forums, references, a calendar of events, searchable information databases, and other resources for water conservation professionals. Offered by the American Water Works Association’s Water Conservation Division, the site is also freely accessible to others in the water industry and the general public. CEE is a consortium of efficiency program administrators from across the U.S. and Canada who work together on common approaches to advancing efficiency. Headquartered in Boston. Check out Pizza Today article Liquid Proceeds: Water usage is one overlooked expense featuring AquaAudit CEO Michael Topper. 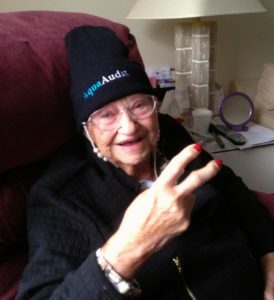 Check out Cooperator magazine article Drip by Drip featuring AquaAudit CEO Michael Topper. Check out Cooperator magazine article Don’t Get Soaked featuring AquaAudit CEO Michael Topper.